This is a sponsored post on behalf of Review Wire Media for The Lumo Project. I received information to facilitate my review as well as a promotional item to thank me for my participation. The Book of Mark is a fantastic place to start- especially if reading the Bible is new for you. While all four gospels center around Jesus, Mark is chock-full of stories, and doesn’t have the genealogies like Matthew and Luke do, or the more difficult to understand theological passages that appear in John. Mark gives you a solid picture of who Jesus is and what He came to do. As you flip through the pages, you’ll read of His miracles, His ministry, His death, and His resurrection. And now, you can see this incredible gospel unfold before you onscreen. With the gospel narrative used as script, The Gospel of Mark offers viewers a memorable and largely authentic depiction of the life of Jesus. In the first-ever word-for-word adaptation, The Gospel of Mark comes alive and allows viewers to visualize the stories we’ve grown up reading. Filmed with the insight and oversight of theologians and Bible scholars, you get a trust-worthy look at what the life and times of Jesus may have looked like. Even as someone who has grown up with the Bible, getting to experience it in this way is incredible. 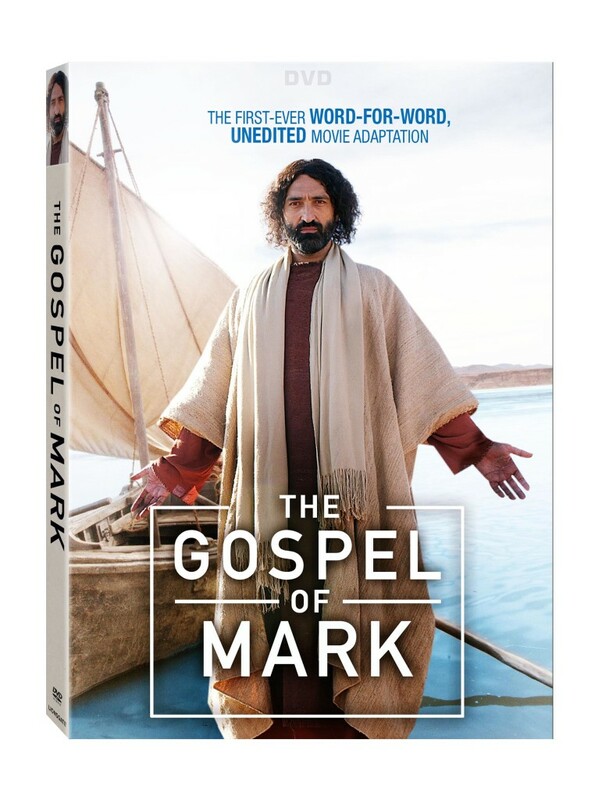 The Gospel of Mark is available on DVD at Walmart, Digital HD and On Demand March 14 from Lionsgate. You can get your own copy of The Gospel of Mark produced by The Lumo Project on Amazon. One lucky Chasing Supermom reader is going to win a copy of this DVD. Get those entries in and good luck! My favorite Bible story is David and Goliath. I like the story of the prodigal son.